In 1983, Clayton Blackstock started practicing law with his current law partner, Michael W. Mitchell. Clayton graduated from Baylor Law School in Waco, Texas in 1982. He had also secured his Bachelor of Arts degree from Baylor University as an undergraduate. Baylor University is known for its high standards and its exceptional litigation training program. Baylor law students have consistently scored in the top percentiles on the Texas Bar Exam. Baylor’s mock trial teams have historically won or placed high in national mock trial events. Since he began his practice in 1983 Clayton has represented teachers and school support staff throughout all of Arkansas. He has represented many educators in wrongful termination proceedings, securing pay due under contract or by statute, pursuing claims under the FMLA, FLSA, ADA, civil right statutes and claims under the U.S. and Arkansas Constitutions. He serves as general counsel for the Arkansas Education Association by providing business advice and serving as the parliamentarian for the Association’s assembly of members. He has drafted many pieces of legislation for a wide range of clients and testified in support of or against pieces of legislation before legislative committees. Clayton’s business clients have included savings and loans, former directors of savings and loans, a national rental company, a regional leasing company, insurance carriers providing medical and dental malpractice defense coverage for their insured, trade associations, franchises, medical clinics, health care providers and numerous small businesses. 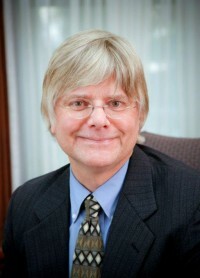 In his representation of businesses, he provides advice and defends businesses on issues including employment contracts, breach of fiduciary duty, covenants not to compete, purchase agreements, employee terminations, COBRA, FMLA, Title VII and other civil rights laws, unemployment compensation and compliance with state and federal wage and labor laws. His history of business litigation, medical malpractice defense and education law can be seen in a number of reported opinions. See e.g. Ryder Truck Rental v. Sutton (Business Litigation); Williamson v. Elrod, 348 Ark 307 (2002) (Medical Malpractice); and Hamilton v. PCSSD, 321 Ark. 261 (1995) (Education Law). Clayton has served as an arbitrator and an advocate in arbitration matters that involve securities fraud, business contracts and insurance contracts. He has appeared before numerous licensing boards on behalf of professionals including the Arkansas State Dental Board, Arkansas State Medical Board, Arkansas State Board of Education, Arkansas State Board of Nursing and the Arkansas Psychology Board. He also regularly represents clients in child maltreatment matters in court and before administrative law judges. Clayton served for ten years on the City of Maumelle’s Planning Commission. He has represented numerous clients on zoning and land use issues drawing on his background as a planning commissioner and his interest in constitutional law. He serves on the American Civil Liberties Union of Arkansas (ACLU) legal panel and has been a cooperating attorney with the ACLU in a variety of cases including voting rights and first amendment rights. In 1999 he was awarded the Volunteer Organization of the Center for Arkansas Legal Services (VOCALS) Attorney of the Year award for his service to those below the poverty line and in need of legal services. In particular, he was recognized for his service to an elderly client with no relatives who had signed away her home under duress to people who promised to take care of her. Although his client was admitted to a nursing home and was no longer physically capable of living at home alone, Clayton secured the return of her home and took her back to visit her home so that she could see that everything was in order and have a sense of peace before she passed away. He continues to participate in the VOCALS program by representing numerous indigent clients every year. Baylor University is where Clayton developed an interest in short fiction through upper level English courses. During law school, he saw a connection between his love for short fiction and trial work. Every word in a short story is selected carefully. In the limited amount of space and time short fiction, the writer elicits an emotional reaction from the reader. Clayton applies the same concept when telling a story to a jury. The story itself and the words chosen should elicit a reaction from the listener. The listener should not be told how to feel or think but rather, come to that conclusion on his or her own. Clayton has participated in a Dad’s On Campus program at his daughter’s grade school. The program is designed to bring more male role models into children’s lives at an early age. He reads to the grade school students with character voices, uses visual aids and involves them in the stories. Clayton could tell which students probably didn’t have male role models in their lives as those students are the ones who gravitated towards him and became close friends. As an attorney, Clayton is both your counselor and your advocate. He believes both roles are equally important. He counsels clients with reasoned and understandable opinions on the potential risks, rewards and costs of litigation. When called for, he advocates for his clients in dealing with judges, juries, arbitrators and opposing counsel.